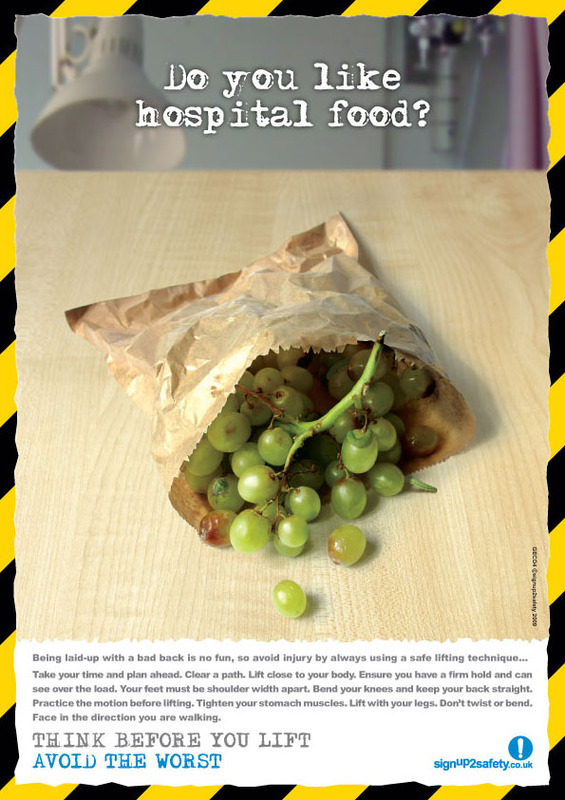 Do you like hospital food? Being laid-up with a bad back is no fun, so avoid injury by always using a safe lifting technique… Take your time and plan ahead. Clear a path. Lift close to your body. Ensure you have a firm hold and can see over the load. Your feet must be shoulder width apart. Bend your knees and keep your back straight. Practice the motion before lifting. Tighten your stomach muscles. Lift with your legs. Don’t twist or bend. Face in the direction you are walking.